Item # 296191 Stash Points: 3,995 (?) This is the number of points you get in The Zumiez Stash for purchasing this item. Stash points are redeemable for exclusive rewards only available to Zumiez Stash members. To redeem your points check out the rewards catalog on thestash.zumiez.com. 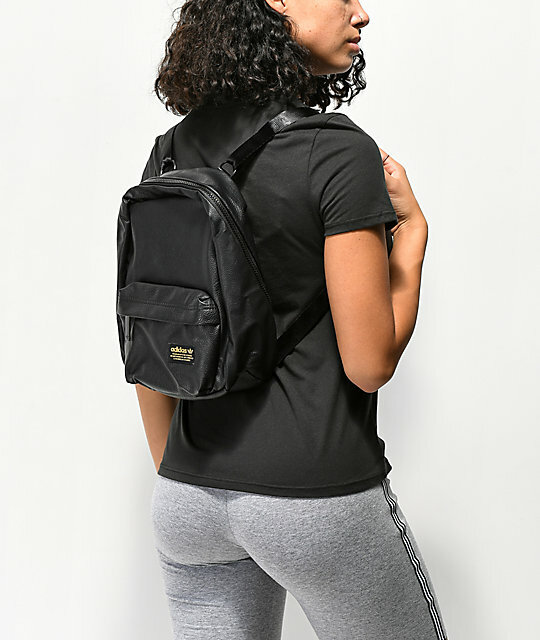 Kick your boring purse to the curb and add the National Compact Black Backpack from adidas Originals to your accessory collection. 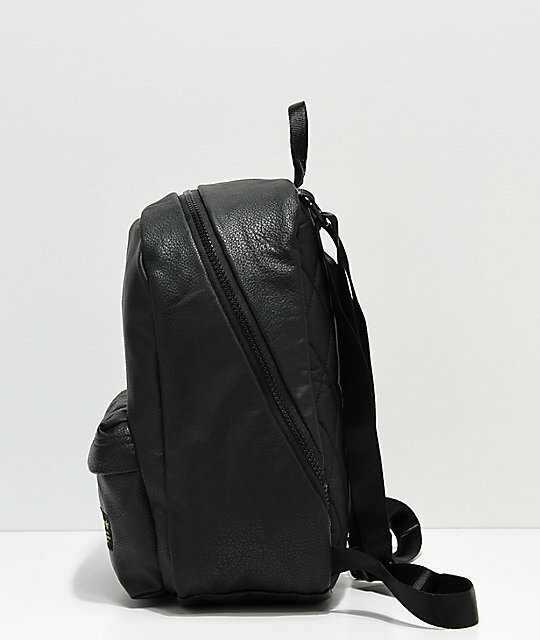 Coming to you in a black, faux leather construction, this mini backpack features a roomy main compartment with an zippered mesh pocket located inside. The front storage compartment is fleece lined, and includes an attached key clip. 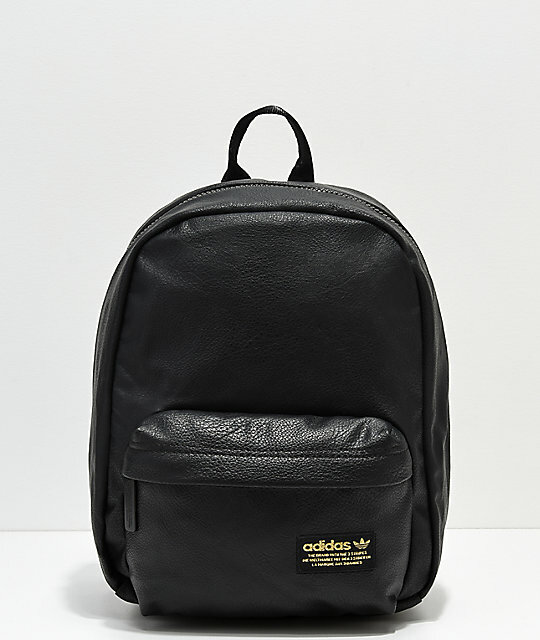 Quality adidas hardware has been added throughout, including branded metal zipper pulls, while the adjustable webbed straps keeps the pack sitting comfortably on your shoulders. 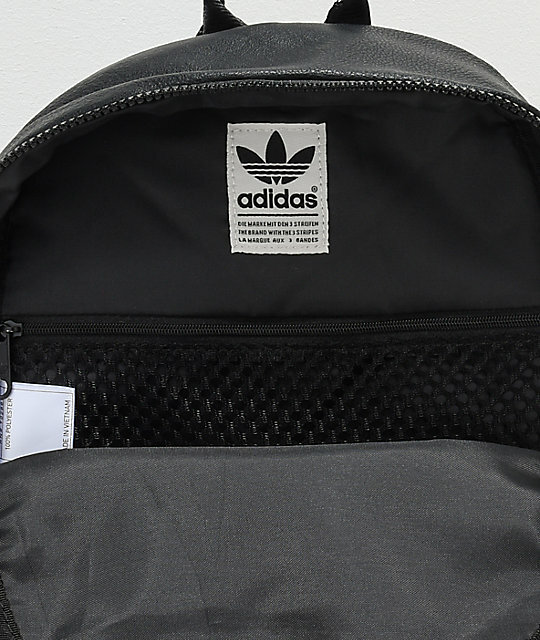 National Compact Black Backpack adidas Originals. Large main compartment with internal zippered mesh compartment. Front fleece-lined storage pocket with key clip. 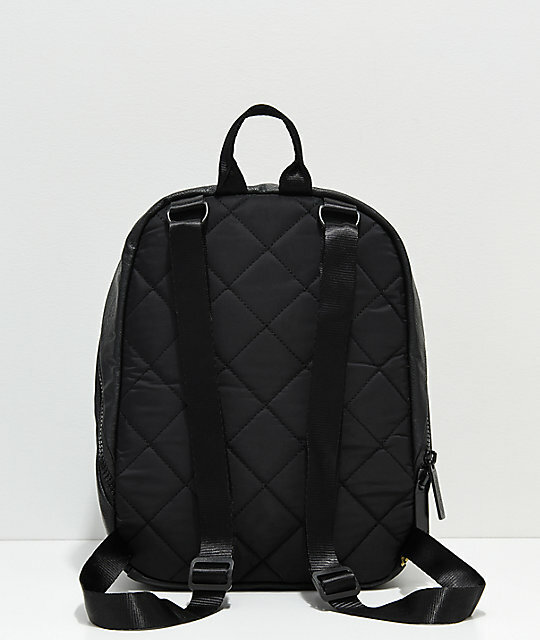 Quilted foam back panel for comfort. Dimensions: 9" (23cm) x 5" (12.5cm) x 13" (33cm). adidas' Lifetime Warranty for duffels and backpacks guarantees product will be free from defects in materials and workmanship for the life of the product for 5 years.